[Magnus Eze] #MezieOkposi: Okposi, My Beautiful Home! 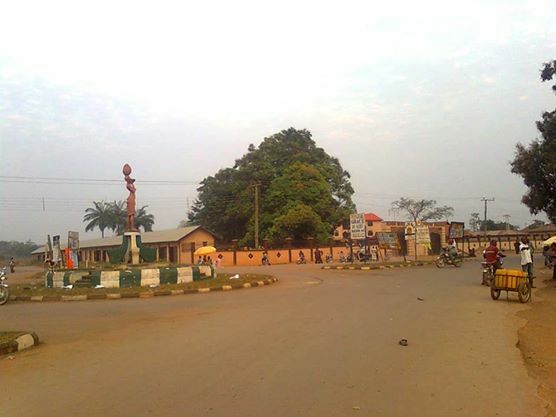 Court Area, Enuakwa, Okposi, Ebonyi State. Okposi clan, the nerve centre of Ohaozara/Onicha/Ivo Federal Constituency of Ebonyi State is made up of two Development Centres (Anuagata and Okposi Development Centres). The Community is unarguably one of the most vibrant and progressive communities in Igbo land. With a highly sophisticated population, the semi-urban community plays host to a Federal Government Secondary School, a Police Post and several other Public Institutions. Okposi land; consists of eight major villages (ezin’asato), three autonomous communities of Okposi, Mgbom N’Achara and Okposi Okwu and divided into four Wards. It’s people are predominantly traders and farmers but also has many highly educated professionals in different fields of endeavors. It is worthy of note that Okposi produced the First Education Minister in Nigeria (Hon. Aja Nwachukwu) and First Professor in Ebonyi State (Professor Aja Okorie). Okposi is secure and our people are very welcoming and hospitable to visitors. Have you been to Mmahi Salt Lake from where Ebonyi’s name “Salt of the Nation” was derived? I shall always play my part to ‪#‎MezieOkposi‬. If you love Okposi and proud of this land, please share this on your timeline. Eze Magnus! I pray God to enrich you with every resources needed to make your positive dreams reality in okposi land, ranging from sound judgement,Human resources,solomon understanding,Divine protection,Financial provision,People co-operations and Great vision, are few of my wishes to your reign. Amen.